Raising standards with film and digital literacy from Rob Smith on Vimeo. ​Mark will share a broad range of apps and ideas that will motivate children in developing key Literacy skills. Focussing closely on technology to raise standards in English and literacy, Mark will share ways of using apps to develop speaking and listening opportunities and ways of enhancing writing that can bring stories alive. Using a wide range of creative approaches, you will leave the session with a wealth of ideas to take back to your school. Mark will also how technology can be used to support planning processes. Each idea will come from practical experiences with real children and have links back to the new curriculum. 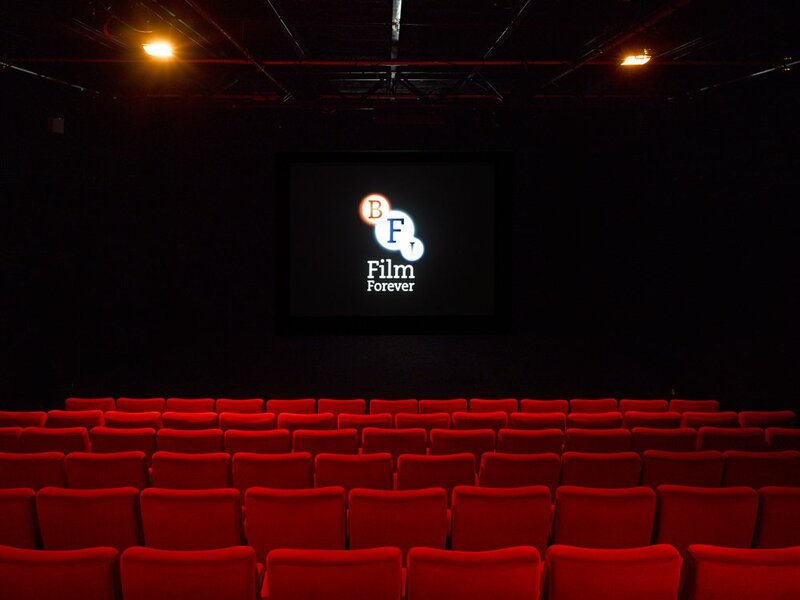 ​Rob’s sessions will demonstrate how to embed a range of short films and animations into existing units of work as well as how to create units around quality moving image. Mark is a former assistant headteacher, local authority lead teacher for ICT, and a successful head of computing. An Independent Thinking Associate, Mark is a passionate advocate for developing the modern educator’s toolkit and raising standards using technology. He is responsible for starting the UK's Digital Leader Network with Sheli Blackburn to promote student Digital Leaders in schools. Mark is a proud Apple Distinguished Educator, Google Certified Innovator and Microsoft Certified Educator. Known as the ICTEvangelist, Mark is an influential award-winning blogger, best-selling author and speaker. Recently recognised as the most influential person in education technology in Europe and the winner of the 'Education Blog of the Year 2015' in the UK Blog Awards 2015 it's no wonder he has well in excess of thirty thousand followers on Twitter. ​Championing the importance of a pedagogy first approach to using technology in the classroom, Mark’s book, ‘Perfect ICT Every Lesson’ has topped the Amazon education book chart twice and has significantly contributed to many other best-sellers such as 'There Is Another Way: The Second Big Book of Independent Thinking', 'Of Teaching, Learning and Sherbet Lemons', 'Don't Change The Lightbulbs', and 'Freaked Out: The Bewildered Teachers Guide To Digital Learning'. Mark also writes in the TES on leadership issues related to digital learning among other publications such as 'Teach Secondary' and 'Innovate My School'. Rob has been teaching in Primary schools for almost 10 years and he is currently touring the world delivering film & literacy CPD and writing workshops. 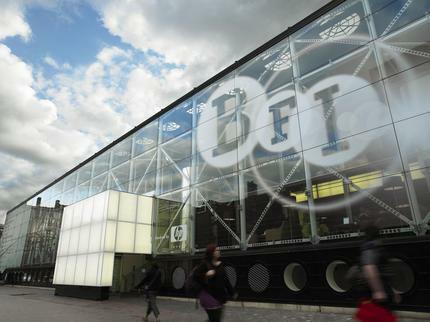 The conference will be at BFI Southbank in their NFT3 Cinema. 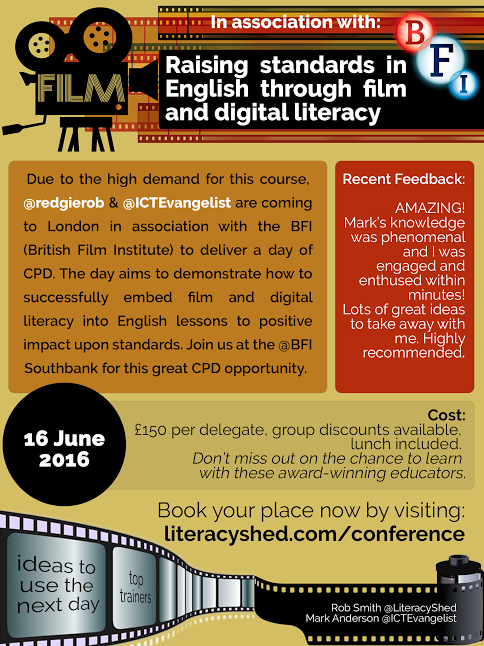 The only time this year you will be able to watch The Literacy Shed films in Cinema Style. Delegates should arrive at 8:45am for registration and refreshments. The day will end at 3:30pm.